Demographic forces usually work slowly. It took decades for the low fertility rates in Japan to slow down GDP growth to negligible levels. Migration patterns, though, can work fairly fast. In Europe, they have become key to the short-term fortunes of the region. In most countries at most times, migration plays a relatively minor economic role. Technological developments, government policies and purely domestic population changes have more influence on GDP growth and employment than the flow of people in and out. That’s not the case in most of western Europe. The region has little capacity for underlying growth because the economies are mostly fully developed. Reform comes slowly, if at all, in these rich and ageing countries. And, as JPMorgan economists point out, the euro zone’s population would be unchanging were it not for migration. But official statistics agency Eurostat expects the inflow of people to add 0.2 percentage point to the euro zone’s annual population growth rate between 2015 and 2019. Population numbers would be flat, otherwise, says Eurostat. The contribution to GDP growth is likely to be substantially greater. Without the predominantly young migrants, the workforce would shrink much faster than the population. Newcomers also keep up demand for housing and other infrastructure, which would otherwise be falling along with the number of young families. Migration is what economists call a pro-cyclical force. When conditions are good, more people come, pushing up job creation and the pace of GDP growth. When prospects look more grim, fewer workers arrive. The average annual pace of net immigration into the euro zone was 1.5 million people between 2002 and 2007. In 2009, the number was 524,000. Since then, economic activity has been sluggish at best. The sharp decline in new arrivals probably plays a major role in the slow euro zone recovery. It’s not everything – the recovery has been relatively strong in Spain, where the migration drop has been particularly dramatic. But overall it is much harder to find new demand when the supply of new people falls away. The migration factor is currently a drag on European GDP growth. But it could quickly turn a weak recovery into a surprising strong one. 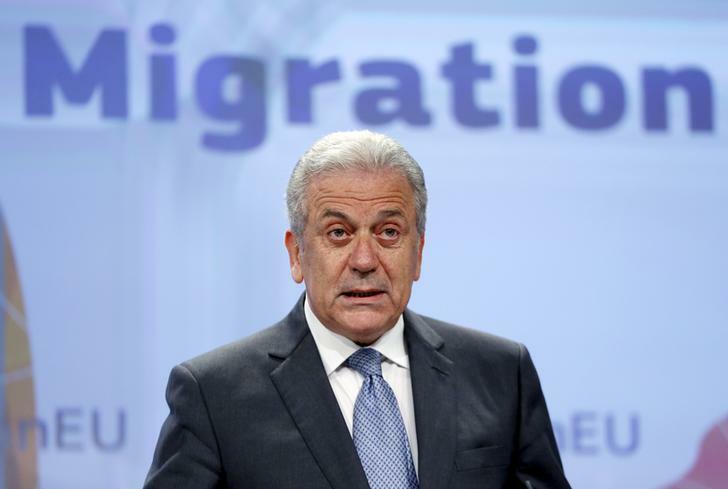 European Union Commissioner for Migration Dimitris Avramopoulos addresses a news conference on the European Agenda on Migration at the EU Commission headquarters in Brussels, May 27, 2015. Edward Hadas: Reducing inequality – where to start? Eurostat expects a 0.14 percent annual rate of population growth in the euro zone between 2015 and 2019. Without net migration, the population would be shrinking at a 0.06 percent rate. Net migration into Spain was 300,000 people in 2008. In 2013 there was a net emigration of 257,000 people.